We are so happy to have Chris as part of our team at Mancuso-Nowak! Chris is a licensed customer service representative for personal insurance. She helps our customers and future customers understand the coverage they have and what they need. She assists customers with making changes on their policies, writing new business policies, taking claims and helping answer customers’ questions. 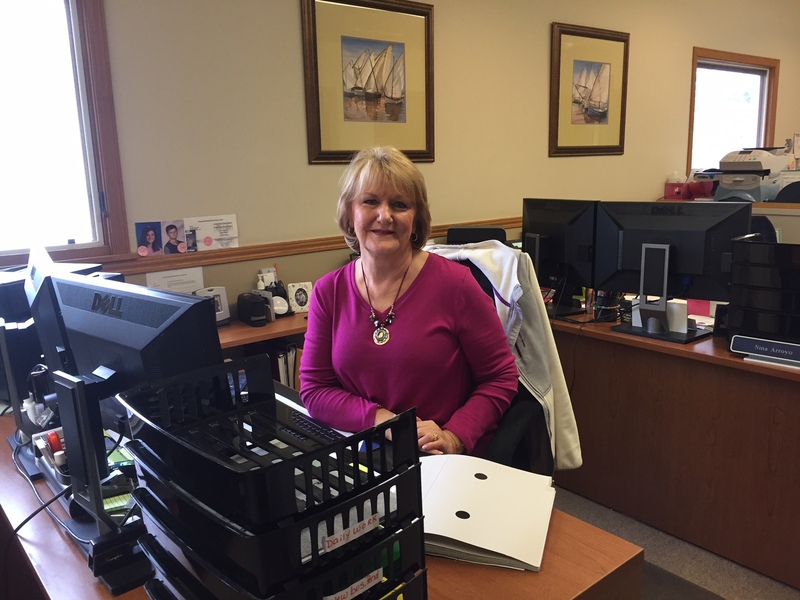 Chris started her career in insurance 39 years ago as a part time position. As time went on, she pursued getting her insurance license and several other designations. Chris has worked in both the agency and company side of personal lines insurance, which has contributed to her extensive knowledge of so many aspects of the field. For 20 years Chris worked as a licensed service representative, trainer and team leader at Liberty Mutual. Now we are lucky enough to have her here with us at Mancuso-Nowak! Chris’s professionalism and experience have made her a dependable employee for a year and a half. She is friendly with the customers and staff here at Mancuso-Nowak. Chris is always willing to help with training and lending ideas for blogs – it is helpful to have great insurance topics that matter to our customers. When asked, Chris said that her favorite part of working here is that we are a very caring agency. We go out of our way to help our customers. We think so too! On the weekends you can find Chris spending time with family and friends, doing crafts and organizing craft fairs. Every Sunday Chris goes to church and then out to breakfast. Some of her favorite breakfast spots are Tiny Tims in Auburn and Ella’s Breakfast Buffet in Cherry Valley. During the summer she loves going to the beach up in Maine for vacation. We love having Chris as part of our team at Mancuso-Nowak!